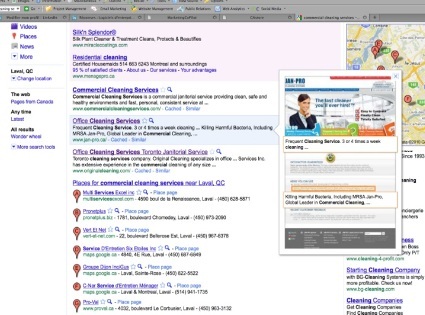 A weak online marketing strategy was holding back Jan-Pro-Canada Inc., a Scarborough, Ont.-based office cleaning firm from realizing its full potential. But the timely deployment of a suite of search engine optimization (SEO) tools by gShift Labs Inc., helped automate their Web tracking process and swept their brand to the top of the first page of organic search results. 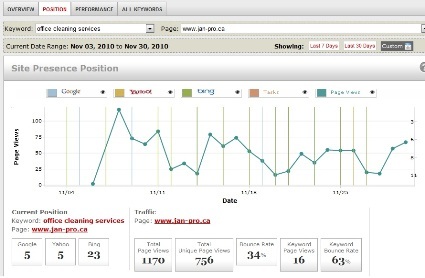 Jean Roberge, master franchise owner for Jan-Pro, said that he had consulted various SEO experts but never got a clear answer on how the company could use the technology effectively to lift its search rankings. “We had spoken to SEO experts and they were never able to conclusively describe what an organic SEO would look like for our business and what we would do monthly,” said Roberge. “We knew that with industry statistics suggesting 75 per cent of searchers on Google click on organic results versus Adwords, we needed an aggressive SEO strategy,” he said. With gShift’s Wordstream keyword research, Marketing CoPilot was able to work with Jan-Pro to create an initial keyword list and validate it. In order to thrive in today’s market, Wiese said, companies need a marketing strategy that encompasses the online and social media environments that their prospective clients occupy. The problem is, tying the management, tracking and analytic tools needed for this is often cumbersome for many businesses, she said. “Clients don’t want to spend a fortune on professional services in order to manually tie together Web analytics, social media tools and content management, “said Wiese. 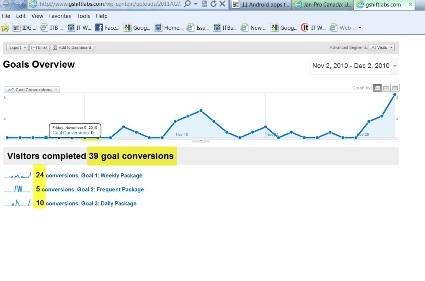 Jan-Pro received 39 quotes online with a 75% close rate in the first 30 days of the new campaign. To help Jan-Pro solve its problems, Marketing CoPilot helped redesign its Web site and deployed gShift’s Web Presence Optimizer, a system of software tool that helped automate most of the previously manual process associated with SEO management and Web analytics. The company also received 38 quotes online in the first 30 days with a 75 per cent close rate. Many businesses, she said, often end cobbling together software tools from various developers and paying big bucks for a consultant to help them track and monitor the data collected by the tools. For example, she said traditional SEO management entailed analysis of the client’s web site and those of its competitors; putting forward recommendations based on the analysis; and implementation of those recommendations. LaRiviere said gShif’s Web Presence Optimizer comes with a system of tools that incorporate this analysis work, monitoring of organic rankings and projection of return in investments (ROI). “This is all presented with controls and a dashboard that is easy to read and manage for non-technical personnel so that users themselves can carryout the tasks,” she said. LaRiviere also pointed out that while traditional SEO methods typically come up with reports on a monthly cycle, gShift is able to provide feedback on a daily basis. The gShift software is available for $299/month/domain. The package enables the tracking of up to 50 keywords and 10 competitors. It can be deployed across social media presences of the user.